Tuscany – the birthplace of the Italian Renaissance, and famous for its varied landscapes, traditions and wines, provides the ideal backdrop for 3.5 days cycling in the Italian sun. 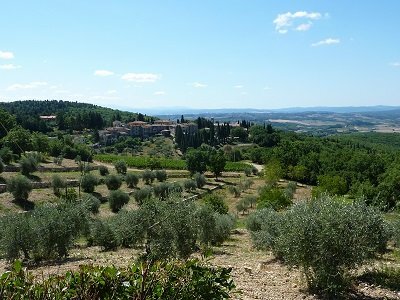 Our route takes us through the vineyards of Montepulciano, up through the hills to Siena and Florence, taking in the climbs of the Giro d’Italia along the way. We offer a choice of routes each day, so you can take on more challenging ascents for that extra sense of achievement, or slightly smaller climbs if you fancy an easier day in the saddle. We fly into Pisa airport and transfer to our hotel situated in the middle of its own vineyard not far from Lago Trasimeno, and just a few kilometers from Montepulciano. You will have a chance to meet the rest of the pie crew over lunch before the event briefing and then getting out on the bikes for a few hours in the afternoon. Depending on flight times, we will ride for around 55km, with 180m ascent. Today we enter Umbria and our first climb of the day; Monte Castiglione. The ride heads into the Pratomagno mountain range as we cycle towards Arezzo. The ardour of the Pratomagno mountains has given its name to a cycling team, Team Femminile Pratomagno and its own Giro, the Giro del Pratomagno. 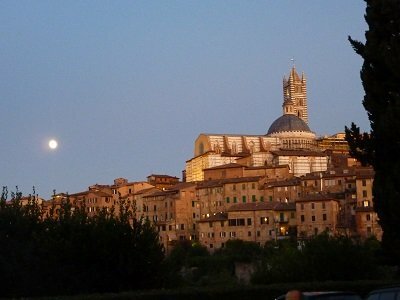 We cycle around the medieval city walls of Arezzo before reaching our destination for the night, Casteluccio, where we stay in a Tuscan villa with a very inviting swimming pool. While some groups head south west through quiet rolling hills and vineyards to the town of Monte San Savino, others head north into the foothills of the Alpe di Catenaia, taking on two impressive climbs; Monte Capannino and Monte Calco. The latter gives you an awesome descent and then the two routes join up for the afternoon and the ride into Siena. A quick visit to the Piazza del Campo, where Il Palio horse race is held each year, and you will be bewitched by the town. The final day takes us along the rolling countryside of Tuscany towards Florence, through the valley of San Casciano and passing beautiful neat rows of Chianti vineyards. The stunning views of rolling vineyards accompanies us throughout the day as we tackle Tuscany’s unique landscape in the knowledge that the Giro greats have been here before us. Tonight the Classico will be flowing as we celebrate our achievements. Today is a free day to enjoy all the historic town of Florence has to offer before your return flight back to the UK. The city is known for its art and architecture with the historic centre of Florence declared a World Heritage Site by UNESCO in 1982.